Fans have been begging for this Kojima classic to make a comeback either with a sequel or an HD port. It looks like their wishes are being granted as the British Board of Film Classification (BBFC) has rated the game, unintentionally making its existence known to the public. They rated the game 12+ and say that it will come out in the UK on September 1 of this year. In Zone of the Enders, you piloted a mech across a stage, fighting enemy robots along the way. My only experience with the game was through a demo for the PS2. Unlike other mech games, you had complete control over how you mech flew around. You could shoot at enemies from afar, or come in close for a devastating sword swipe. Besides its unique controls, the game was also known for coming with a demo of the hotly anticipated Metal Gear Solid 2. 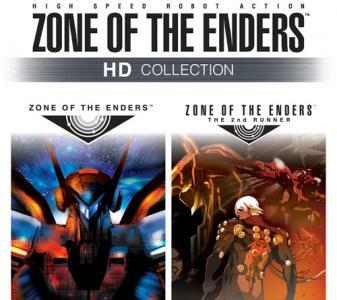 While most people probably bought the game for that demo, it did make fans for Zone of the Enders. Here’s hoping this HD collection doesn’t suffer the same fate of another collection Konami made recently. This entry was posted in Gaming News and tagged hd collection, Hideo Kojima, kojima productions, konami, Zone of the Enders on May 8, 2012 by Steven T..